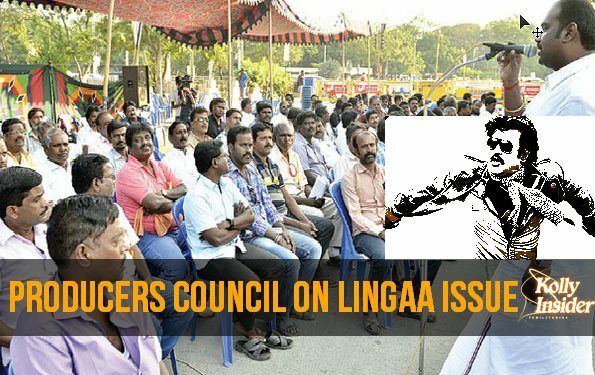 The Tamil Nadu Film Producers Council (TFPC) has strongly condemned the decision of the distributors of "Lingaa" to go on a mass begging protest and hold superstar Rajinikanth accountable for the film's losses. "Rajini sir's films have always had very high success rate. People who are usually associated with his films have mostly gained. It's unfair to hold him responsible for the losses of his film 'Lingaa'. We strongly condemn the decision of the distributors to beg for compensation," read a statement from TFPC. A group of distributors of "Lingaa", who suffered heavy losses, had requested a refund of about Rs.35 crore. When producer Rockline Venkatesh agreed to settle only about 10 percent of the losses, the distributors decided to go on a begging protest outside Rajinikanth's residence here. "It's unethical to harass Rajinikanth sir and producer Venkatesh. This matter has to be resolved amicably," added the statement. Directed by K.S. Ravi Kumar, "Lingaa" had released on Rajinikanth's birthday last year Dec 12. It also featured Sonakshi Sinha and Anushka Shetty in important roles. In our view, Mr. Rajini Kanth allegedly brought the producers from his born state Bangalore and allegedly made big pay for him and THIS INFLATED THE COST OF THE MOVIE which cannot be recovered by the Theatre owners at local level. THIS IS WHAT POTENTIALLY HAPPENED AS WE LOOKING AT THE NEWS. It's about time Mr. Rajini Kanth not to live on the past success (which is not totally due to hime but due to his Director like Mr. Shankar and other Star Power like Ms. Aiswariya Bachan etc. ), but "his silly style" is out of fashion in modern society, who are more intelligent, thus our advise to Mr. Rajini Kanth is to retire or act in "DAD" ROLES.